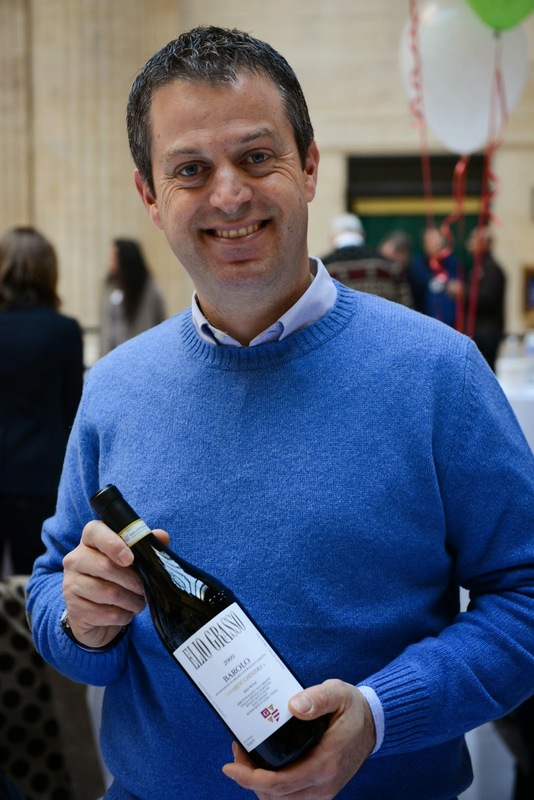 The Gambero Rosso Tre Bicchieri tasting was held in Chicago yesterday - stops in New York City and San Francisco are also part of this current tour - and wine lovers in the trade and media were treated to an embarrassment of riches, as far as Italian wines go. 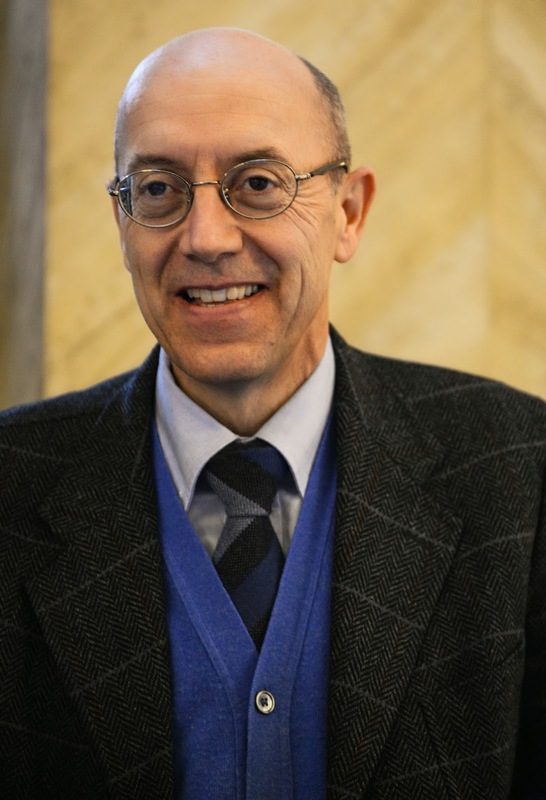 This publication, generally regarded to as the Bible of Italian wines, each year tastes 20,000 wines for their guide and rates wines on a scale of one to three glasses, with the highest being three - tre bicchieri - wines that are considered by the tasting panel as the finest in the country. As only 415 wines were given this rating for the 2014 guide - barely more than two percent of the wines tasted - these truly are special wines. What I love about this guide is that the highest ratings for Italian wines are not relegated to the most famous full-bodied reds such as Barolo, Brunello di Montalcino or Amarone; rather there are dozens of Italian wines that are honored as worthy of a Tre Bicchieri rating, be they sparkling such as Prosecco or Franciacorta, elegant whites from Alto Adige, Friuli, Campania and several other regions or gorgeous reds such as Aglianico del Vulture, Taurasi and Montepulciano d'Abruzzo that often do not get the attention they deserve. So at this tasting yesterday, one could pretty much receive a thorough education in Italian wines; yes, tasting the finest Italian wines of the year is quite special, but when you realize that you'll taste a wide range of wine types, well, that makes a day like this even more enjoyable. Sparkling - Everyone knows Prosecco, the famous sparkling wine from the Veneto region, but this is a product generally thought of as an everyday wine, one without distinctive characteristics. One taste of the 2012 Ruggeri "Giustino B"Extra Dry would prove how special this wine can be; medium-full with an explosive mid-palate and a lengthy, elegant finish, this is a classy sparkling wine! As for Franciacorta, arguably Italy's finest sparkling wine category, there were several first-rate offerings featured, including the beautifully-structured Lo Sparviere 2007 Extra Brut and the Ferghettina Pas Dosé "33"Riserva 2006, a blend of three of their finest wines (100% Chardonnay) that is perfectly balanced with lovely complexity. Then there were two of Italy's most sublime sparkling wines, the 2005 Ca' del Bosco "Annamaria Clementi" and the 2006 Bellavista "Vittorio Moretti"; both are quite powerful, with amazing persistence are absolutely delicious and can rightfully take their place among the world's finest sparkling wines. Whites - Italian white wines just don't get the attention they deserve from the major wine publications; I've been commenting on this for years. So how nice of Gambero Rosso to honor the country's finest whites, whatever the type and style. At Monte del Fra, proprietor Marica Bonomo produced a lovely 2011 Custoza "Ca' del Magro" from her estate vineyards in the Veneto; a blend of several grapes (primarily Garganega), this is a charming dry white with beautiful acidity and subtle charms. The 2012 Feudi di San Gregorio Greco di Tufo "Cutizzi" from a single vineyard in Santa Paolina in Campania, is a rich white with beautiful citrus and floral aromatics and lively acidity, a trait of this vintage's white from this region. Drinkable now with rich seafood, this will be even better with another 3-5 years of aging. The white that most surprised me was the 2011 Valle Reale Trebbiano d'Abruzzo "Vigne de Capstrano." I say that as most examples of Trebbiano d'Abruzzo are quite simple, even one-dimensional; how nice to experience a Trebbiano that breaks the mold! Fermented with wild yeasts and unfiltered, this has a cloudy appearance; quite full on the palate, this has spicy, nutty perfumes and a powerful finish; here is a Trebbiano of great complexity, one that has aging potential. This estate has been a leader in this region and this wine is, in my opinion, one of Italy's most distinctive whites! Reds - Of course, there were the usual suspects presented in this tasting, including Barolo and Brunello di Montalcino. Of the former, the best examples were the Giacomo Fenocchio "Bussia" and the Elio Grasso "Gavarini Chiniera", both from the 2009 vintage. That was a rather difficult year for Barolo, but these wines displayed the elegance one has come to expect from the finest examples of this iconic wine. Both are made in a traditional style and are ideally balanced with good acidity; these are examples of Barolo that are meant for food, whether in a few years or 10-12 years down the road. As for Brunello di Montalcino, the Mastrojanni "Vigna Schiena d'Asino"is a stunning wine. Traditionally made with great Sangiovese purity, this is a wine of elegance, breeding and first-rate complexity. Offering excellent depth of fruit, subtle wood notes and very good acidity, this is a textbook Brunello meant for 12-15 years of aging. Arguably the finest red wine at this event - and that's saying something - was the 2010 Cantine del Notaio Aglianico del Vulture "La Firma." Aglianico is the great red variety of Southern Italy, but one usually reads about this grape when referring to Taurasi of Campania. But in Basilicata, there are several distinguished examples from the Aglianico del Vulture zone; wines that are rugged, yet elegant with firm, but refined tannins. I included this wine in my book Beyond Barolo and Brunello; I can now reaffirm that the Cantine del Notaio "La Firma" is truly one of Italy's most distinguished red wines after tasting this 2010 version; full-bodied with a beautifully developed mid-palate and tremendous persistence, along with balancing acidity, this is a marvelous effort, a great bottle of wine on so many levels. 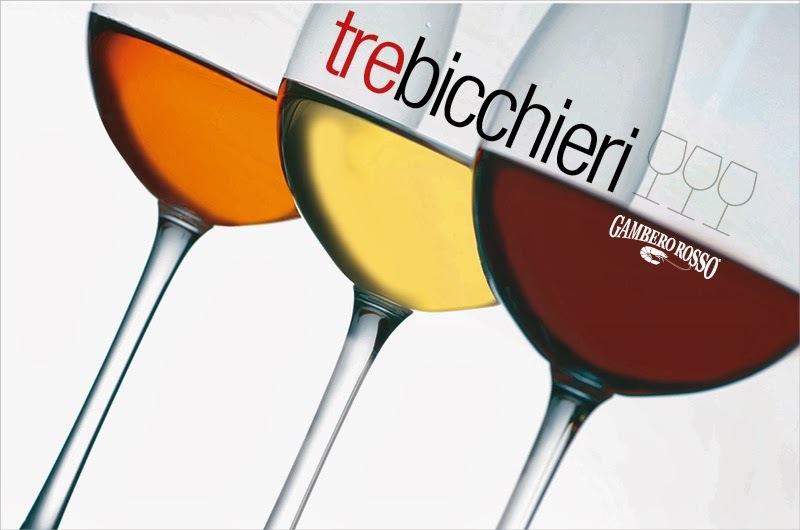 So it's a year off, but I can't wait until the 2015 Tre Bicchieri tasting! The Gambero Rosso Tre Bicchieri tasting is back in the United States and if you're a lover of Italian wines - you need to be there. I'll be there on Tuesday, February 11 in Chicago; there is also a tasting in San Francisco on Thursday, February 13. Gambero Rosso is the bible of Italian wines, rating wines of every type from all twenty regions of Italy. Their highest rating is Tre Biccchieri (three glasses), a designation that is awarded to the very best Italian wines of the year. Last year, a total of 20,000 wines were tasted with only 399 being given the highest award, so this is a very distinguished and difficult rating to achieve. What's nice about these ratings are that they are not reserved merely for the most famous Italian red wines such as Amarone, Barolo and Brunello di Montalcino, but also for white wines such as Soave, Verdicchio dei Castelli di Jesi and Friulano as well as sparkling wines such as Prosecco and Franciacorta as well as some lovely, underappeciated reds such as Dogliani, Montepulciano d'Abruzzo and Cannonau de Sardegna (a personal favorite!). Some of the most famous producers from Italy will be represented, including Vietti, Donnafugata, Nino Negri, Masi and Ferrari, to name only a few. But make sure you also taste the wines from underrated producers such as Valle Reale (Abruzzo), Monte del Fra (Veneto) and Cantine Lunae Bosoni (Liguria, an exceptional Vermentino) as well - you'll miss out on some great wines if you don't! See you at the Chicago tasting on February 11!